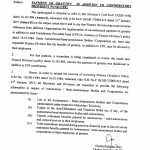 Finance Division has issued Notification No. 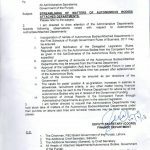 F.4(3)R-4/2011 dated 16th September 2014 in connection with Grant of Adhoc Relief Allowance-2014 @ 10% Autonomous/Semi-Autonomous Bodies. 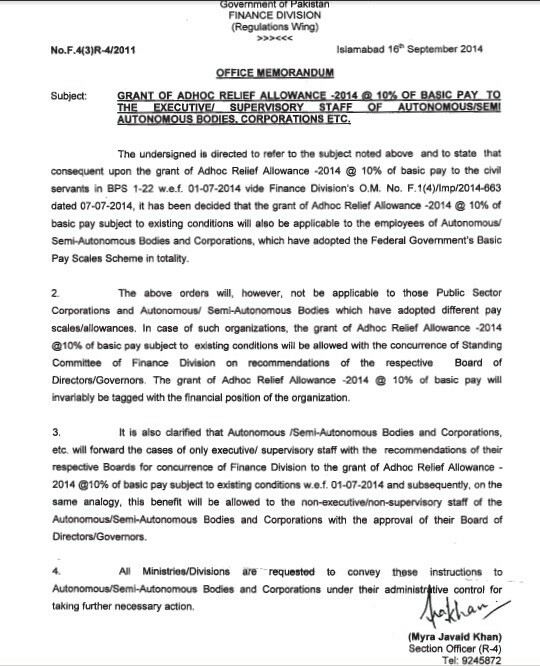 According to this Notification, it has been decided that this Adhoc Relief Allowance 2014 will also be applicable to the employees of Autonomous/Semi-Autonomous Bodies and Corporations which have adopted the Federal Government’s Basic Pay Scales Scheme in totality. 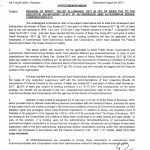 These orders will however will not be applicable to those Public Sector Autonomous/Semi-Autonomous Bodies and Corporations which have adopted different pay scales/allowances. 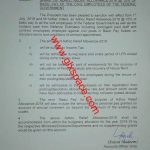 In case of such organizations the grant of Adhoc Relief Allowance 2014 @10% of basic pay subject to existing conditions will be allowed with the concurrence of Standing Committee of Finance Division on recommendations of the respective board of Directors/Governors. More details are available at the copy of the Notification. .A.O.A DEAR MADAM THANKS FOR AGAIN AND I AND WE NOW UNDERSTANDING / CLEAR IN THIS REGARDS WHICH SOME QUIRES SUCH HAS BEEN GIVEN FORM YOUR END WITH CLEAR INTIMATION US AND ALL THE A.R.A IS INLY FOR THE CORPORATION /SEMI CORPORATION BODIESETC..WHICH IS GIVEN 01.07.2014.ARA 10% . THIS IS SO GOOD FOR CONCERNED. 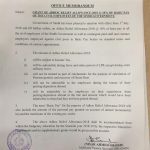 I THINK THIS IS FIRST TIME THIS NOTIFICTION ISSUED THIS CONCRNEDPLEASE.. BEST WISHES AND REGARDS..
Dear Ghulam Mustafa, in the previous Notification issued, 10% ARA-2014 was not mentioned for the corporations, autonomous bodies etc. 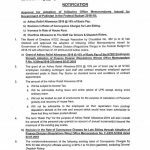 Now This Notification is for these corporation employees. Dear Ghulam Mustafa, plz email me the points that you could not understand. Dear Tahir Jajja, Yeh Allowance corporations etc kay liay hay. In ka notification pehlay jaari nahin hua tha.